Don’t be fooled, Wrath is not your typical MMO fighter pale ale. True to an IPA brewed with strong hops, a bit bitter and with significant alcohol content, Wrath was also created with a smooth malty backbone and a crisp orange hop flavor, placing it in a league of its own. Swill this brew with your favorite cigar and experience a 7 Sins anticipated prize-winner. For all you craft beer enthusiasts, here is an in-depth look at the 7 sins Brewery IPA. IPA is almost synonymous with craft beer, with an infinite number of India Pale Ale beers in the market. 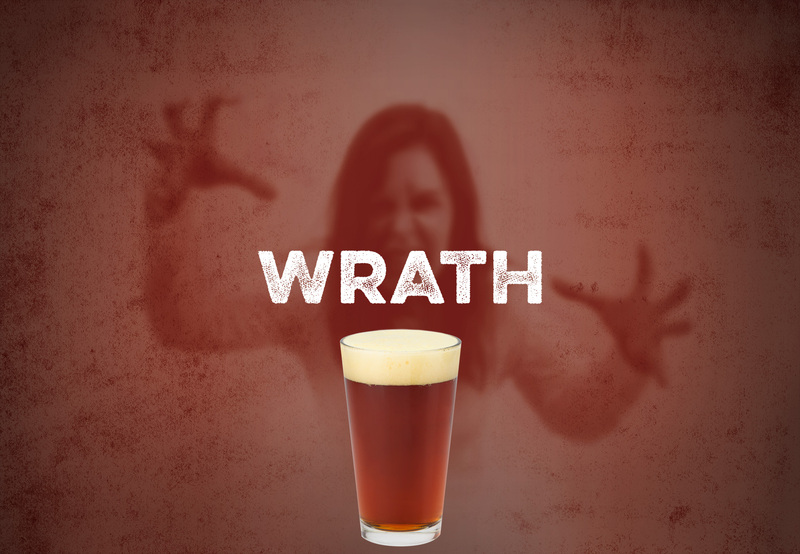 With that in mind, we wanted to make sure you don’t forget our Wrath and created a unique brew – Wrath IPA has a high IBU (68) yet with lots of other flavors to round out the bitterness including hints of citrus, pine and carmel. Scents of citrus and carmel are also distinguishable. Wrath has a crisp finish – bringing all these qualities together to produce an ambrosial experience. Finally, its color is ablaze – a rich copper, 14 on the SRM scale and has a light-to-medium body. And to be expected, the ABV is 7 %.